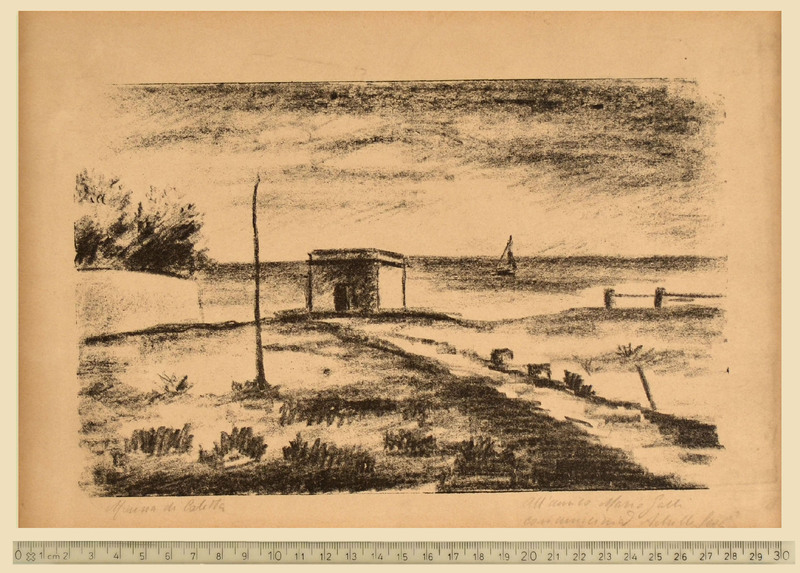 Lithograph, 1930, titled, dedicated and signed in pencil Marina di Caletta / All'amico Mario Galli / con amicizia /Achille Lega. To the lithographic image 162 x 256 mm; the full sheet measuring 250 x 347 mm. 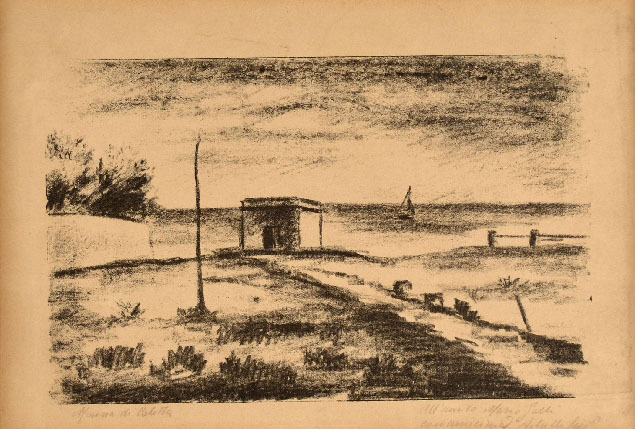 The lithograph is very similar to the painting by Lega Caletta di Castiglioncello, 1929. According to Sigfrido Bartolini the print had an edition of seventy, all numbered and signed, and was conceived for the series Incisori Contemporanei, published in Turin by Fratelli Buratti. Our impression lacks the numbering, so it is much probably that it was an impression kept by the artist out of the edition. See Sigfrido Bartolini, Achille Lega, L'Opera Incisa e Iconografia, Reggio Emilia, 1980; Tav. LIII, p. 165. The dedicatee, Mario Galli, was a sculptor but also a collector and dealer, and a friend of many Florentine artists. PROVENANCE: Mario Galli; Carla Dalcò, Milan (heir of Luigi Conconi); Paul Nicholls, Milan.